Whether it be a vase, a decorative plate or a collector’s figurine, when a glass valuable chips, cracks or breaks it can be heartbreaking. Where certain, more complicated breaks require professional repair, you can fix others yourself. Here’s what you should do. You should first determine if spending time and money to repair the item is worth it. If the piece is part of a collection you have been building for years, the answer is likely yes! Again, evaluate if you will be able to perform the repair properly yourself. If you aren’t confident in your ability to do so, take the broken item to a professional glass repair shop. The most important supply is a special epoxy glue to fix the break. Make sure the glue dries solid, but is also clear so it doesn’t interfere with the look of the glass. A pain scraper can help to apply the glue neatly. In some situations you may also need a glass cutter to cut glass to match if you are putting a new piece of glass in. Be sure to wear rubber gloves during the process. Replacing the glass if needed. 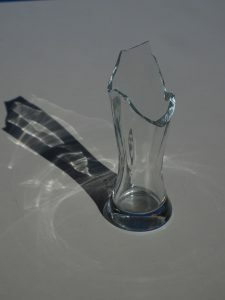 If you have to use a piece of replacement glass, you must first remove any loose shards or pieces of glass. Make sure the new piece is the right size and shape to fit into the space needed. …consider what kind of glass the item is made of. Hand-blown glass cannot be replaced with glue, and trying to repair such items may not be effective. Make sure to do plenty of research on your specific collectible to ensure repairing with glue will yield the results you want. If you find your valuable is broken beyond repair, don’t fret! Come down to our shop and browse our variety of collector’s items.